Welcome to our new client profile blog post series. We will be highlighting success stories from our clients for you all year with this Q&A style Series. Enjoy! We begin our series with native Albertan and long time Calgarian Sharon Schuld. Sharon is a University Graduate with a degree in Fine Art and further education in Architecture. 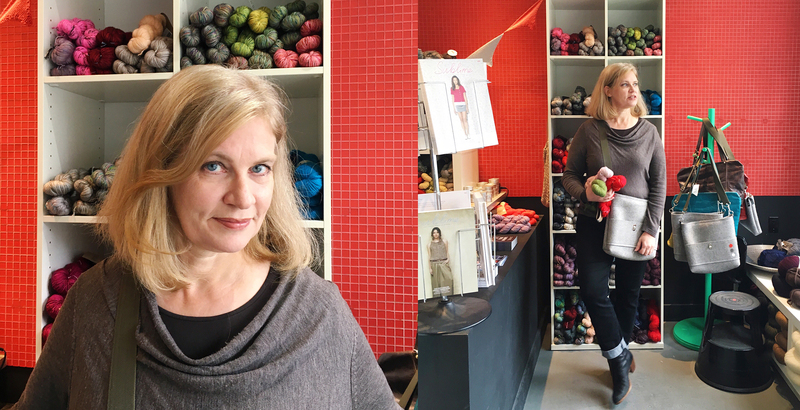 The 50 something entrepreneur is proud owner of @puddingyarn , one of the most popular retail stores for knitters in Southern Alberta. Sharon tells us that “being an entrepreneur is one of the most rewarding creative endeavors she has embarked on. Sharon has been personal training @methodyyc for six months. Q: What goal did you have in mind when you started training? A: My goal was to improve my fitness and decrease my knee pain that I had been experiencing. I wanted to be able to participate in fun physical activities like hiking without being held back by physical limitations. Q: Can you give us an example of how your training at Method Fitness has made a difference in your life today? A: I’m happy to report that I no longer have chronic knee pain. I feel stronger, more energetic and I’m no longer limited by my lack of conditioning. Q: How do you fit fitness into your daily schedule? Do you find it difficult to attend every training session? A: Attending my appointments has been easy. Once I commit to making the appointment I mark it in my day timer and respect the appointment the way I would any business or personal appointments I might have. On days that I don’t train, I’ve been committed to a walking program. I’ve found the combination very beneficial both physically and mentally. Q: Name your favorite “cheat day” food. A: I also love desserts but I’m trying to keep my cheats to a minimum. A: My motto? I always remember what my mom advised. “Get over yourself”. That’s my motto. Mom was right.